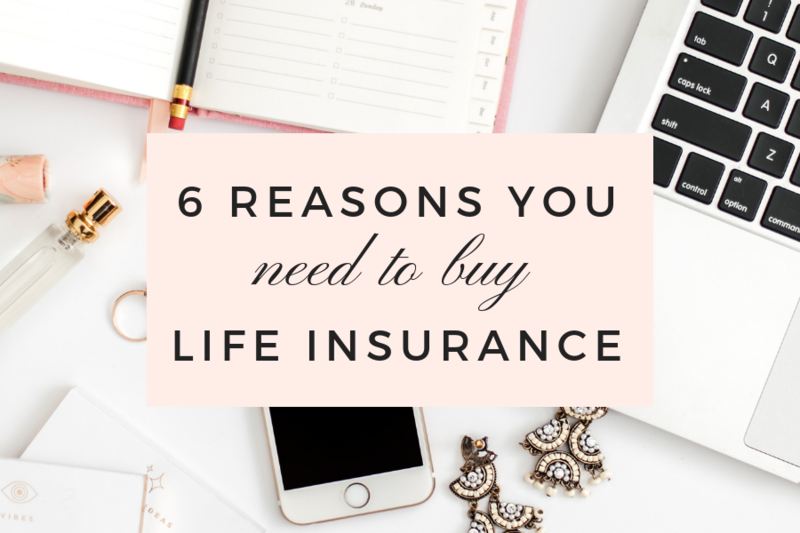 Here are 6 reasons I always share with clients why they need to buy life insurance. Did you know that life insurance pays out tax-free to your beneficiaries usually within 30-60 days upon claim? Did I mention tax-free money to your estate? In my opinion, everyone needs to have a small permanent life insurance policy to cover off final expenses. These expenses can run from $5,000 to $25,000 or more. Besides burial or cremation costs, there are also final tax returns and legal obligations or probate or tax owing that are required to close your estate. Here’s the thing, don’t be a burden to your family or friends – consider having a small paid up whole life or universal life or Term100 that will pay out tax free to your chosen beneficiaries to help ease the immediate burden of final expenses. If you have children under age 18, I firmly believe it is your responsibility to help provide for those children if you were to pass away prematurely. This is something I’m very passionate about because it’s so inexpensive for people of child-rearing ages to afford a decent sized life insurance policy of even $500,000 to $1,000,000 at minimum. Everyone knows a million dollars doesn’t go far these days, not to mention if you want to help contribute to your child’s secondary education costs, then you will really need to take a good hard look at getting the proper amount of life insurance. If you depend on your partners income to run your lifestyle and housing costs, then this is a no brainer, obviously if you didn’t have insurance and your partner passes away you may be forced to radically change your lifestyle. The question becomes, is this something you are willing to do during the hardest days of your life? Any amount of life insurance will help ease this burden so you aren’t forced into making rash decisions at inopportune times. Like I said about the insurance for your children, I also will say that it is your responsibility to cover your debts in the event of your passing. You were the one who made the decision to take on the debt in the first place, don’t you think that you should also not leave that debt to your loved ones to deal with your messes? Time to ADULT now and make sure you have proper coverage to handle all your debts, from mortgage to credit cards to car loans to business agreements. Buying life insurance to cover Key Employees or to fund a buy/sell agreement or just to cover outstanding debts in the business, it is so important to look at life insurance for your business. Make sure to talk to a CFP to make sure all the angles of your business are covered. Although Canada doesn’t have estate taxes per se, they do have probate fees and final taxes on deemed dispositions of assets on the date of your death. This can be a massive blow to your estate. For example, a million dollars in RRSPs would be worth $600,000 or less after all the taxes are paid on your final tax return. That’s a huge win for the government and a huge loss for your family. This is where permanent insurance is important, such as whole life or universal life or Term100. Probate fees are minimal in some provinces, but in other provinces can be very costly. Okay, now ask yourself if you have enough or you have enough on your partner. Either way, I’m happy to get you a quote or put you in touch with someone in your jurisdiction who can help you get some proper risk management and life insurance in place! Don’t wait… I will write another blog on the people who came to me and said they wished they had put some life insurance in place before their partner passed unexpectedly. Grim, I know. Real Life – Yes, unfortunately. Bottom Line: You’re still gonna need money, honey.